USC appreciates its student workers, and student workers appreciate the opportunity to earn money while building their skill sets (and resumes). Keep in mind that student workers are generally limited to no more than 20 hours per week while school is in session (fall or spring semesters or summer sessions). More hours may be worked during winter recess, spring break, or summer when student is not enrolled in classes. Students may find it helpful to print out our schedule template so they can fill in their class/work hours to share with their managers or to keep as a reference for themselves. Student workers, like all employees, should be aware of all USC employment and workplace policies. Common paycheck questions are answered at the payroll FAQ for student workers; also see USC payroll schedules. You will need to track your time in Workday, the university’s comprehensive HR system. Helpful information for getting started with Workday is on the Workday Help site. Enjoy the convenience of having your paycheck hit your account on payday. You can also send your pay to more than one account. Set it up in Workday – but first check our handy guide to setting up direct deposit on the Workday Help site. Resources for international students are available from the Office of International Services. Any other work-related questions? Contact the HR Service Center. Some campus jobs provide uniforms, T-shirts or some other attire appropriate for the position. 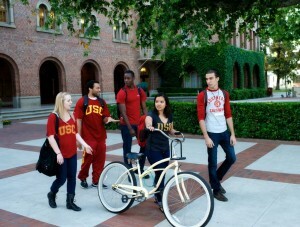 If that is not the case where you work, please be aware that USC does expect all workers to wear appropriate attire in all campus job environments. Be particularly aware of appropriate attire for office settings. The Career Center has training for student workers available. This free video series is designed to teach students about professional etiquette and expectations as they gain experience in a workplace for the first time. Managers and student employees can set aside time for student employees to complete the modules and to discuss the concepts together. See the program on the Career Center site.